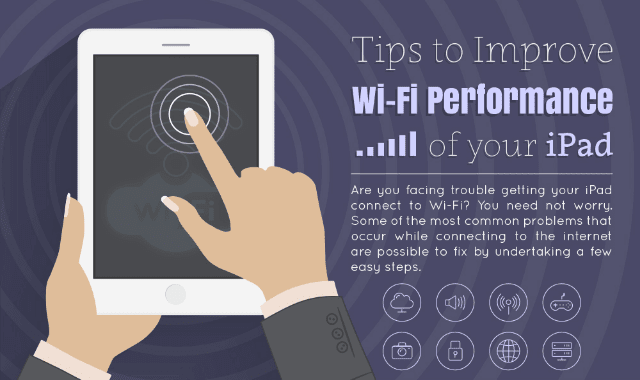 Tips to Improve WiFi Performance of your iPad #Infographic ~ Visualistan '+g+"
Are you facing trouble getting your iPad connect to WiFi? You need not worry. Some of the most common problems that occur while connecting to the internet are possible to fix by undertaking a few easy steps. At times, it is as easy as moving from one room to the next. Let's have a look at some steps you can undertake to improve WiFi performance of your iPad.